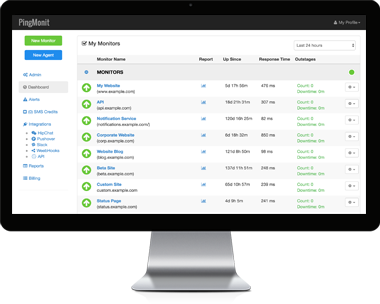 Track your site's response time and performance from different checkpoint locations. View what kind of errors your visitors see. 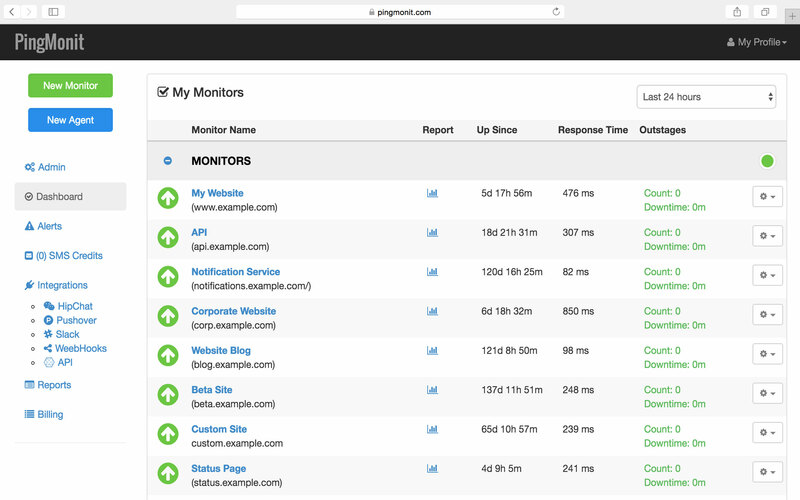 PingMonit provides visibility into the performance, uptime, and overall health of your website. 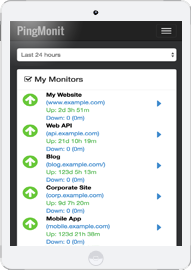 PingMonit collects metrics, events, and metadata from your website, and generates insights via dashboards, charts, and alerts. PingMonit helps you collaborate by integrating with Slack, HipChat, Pushover, SMS and more. Every 60 seconds we check your websites to take measures about performance and availability, also available in free plan!